A New Hope To South Bangalore – Cookaroo! There are people who would be working from home at times and certainly depends on food which delivered to the door step. Although I cook, still I would be ordering from Food delivering sites. I have heard of Cookaroo from a few of my friends. Since, they are ordering regularly from them. So last week, I was working from home and decided & ordered a food from Cookaroo. I was overwhelmed to see such a great option over the Cookaroo Site. Well, I ordered Alfredo White Sauce Penne Pasta, Veg Combo Meal, Paneer Chatpata with Phulkas and Veg Fried Rice with Chili Garlic Sauce. I would like to thank them for Hassle free delivery. Since they delivered at a committed time and no multiple calls from a Delivery Boy! Packing: The Cookaro serve food in elegant and decent Containers and especially I loved the way they packed the Veg Combo Meal. I don’t see any diverse from one dish to another in the Combo. As they say, the packing is so convenient. Pricing: The price of each is dish is approx… 150 bucks, which is commendable and I would rather say affordable. 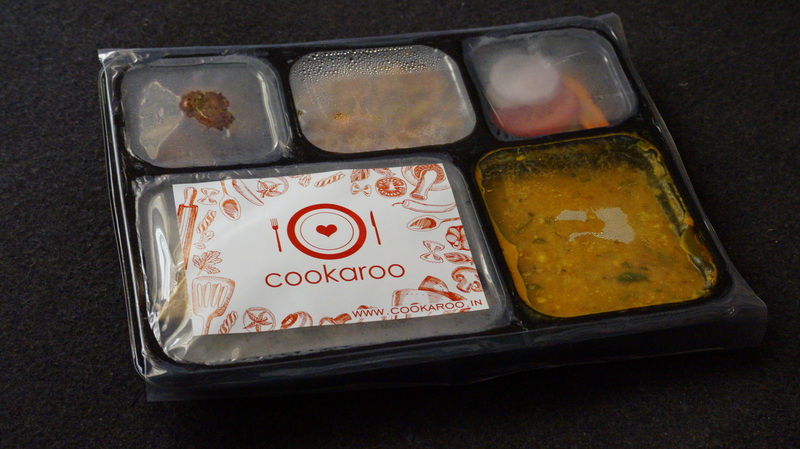 I have tried few other food deliveries and I feel Cookaroo food is on a competitive pricing for the quality and taste. Quality: Quality element plays a next vital role after taste. However, I would give full marks for the excellence. Alfredo White Sauce Pasta – The Portion was huge and made with Mushrooms, Bell Peppers, Sweet Corn, Carrot and French beans. It tastes indeed great. Since it was delicious, soft and creamy! The dish was garnished with an Italian Seasoning! Paneer Chatpata with Phulka – The dish was very spicy with perfect tanginess and it tastes exactly how I want my dish to be. Well, being a spicy lover, I just fell in love with it and don’t mind ordering again & again. I feel Phulkas are slightly rubbery and could have been better. Paneer Chatpata is truly delicious! Veg Combo Meal – Packed perfectly! The Combo had Aloo Mutter, Saundhe Aloo, 2 Whole Wheat Chapatis, Steamed Rice, Dal Tadka and Salad. This is truly a Steal! The Price was just 120 rupees. I will definitely recommend this Combo anytime. Veg Fried Rice with Chili Garlic Sauce – A medley of vegetables and par-boiled rice at a high flame, flavored. It tastes like an authentic! Since it tastes similar to the ones I had at Authentic Chinese restaurants in town. I will definitely recommend this dish! Being a resident of South Bangalore, I am very happy to see Cookaroo is delivering across Jayanagar and other nearby areas. They are very few online deliveries in South Bangalore and this is one among those. Overall Experience was nice and I would definitely recommend Cookaroo any day! Currently they are delivering around Central Bangalore, Domlur, HSR Layout, Indiranagar, Jayanagar, JP Nagar, Koramangala, Madiwala, Whitefield and ITPL.